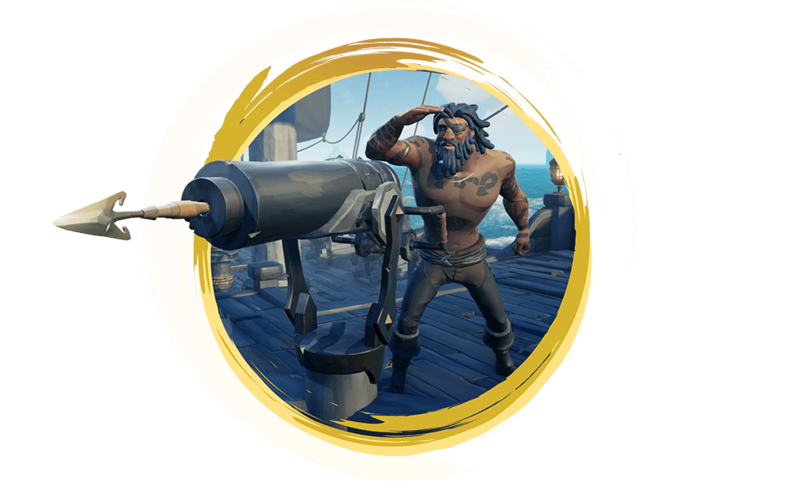 Marking a year of unbridled pirate adventure, Sea of Thieves presents the Anniversary Update: an expanded and enriched experience that builds on last year’s maiden voyage in a whole range of game-changing ways. The Anniversary Update brings you more ways to embrace the pirate life than ever before, including a host of new gameplay features and two major additions in the form of The Arena and Tall Tales - Shores of Gold. Follow immersive new quests, fish and cook for your crew and engage in thrilling contests of skill! Both Sea of Thieves and its legendary community are growing – now’s the perfect time to set sail. 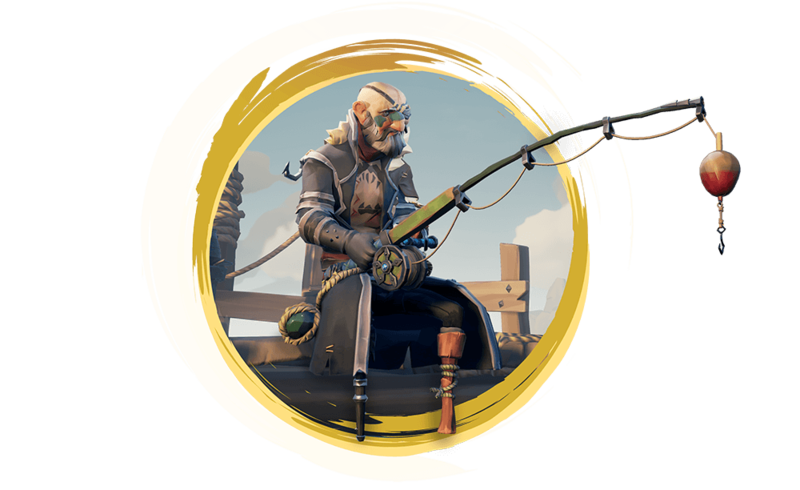 The Hunter’s Call is an all-new type of Trading Company that brings long-awaited fishing and cooking capabilities to the Sea of Thieves! 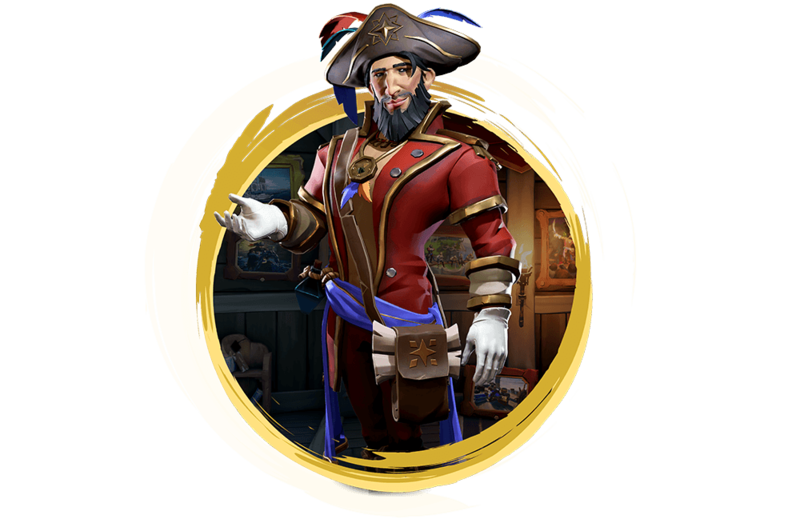 Led by the returning wanderer Merrick, The Hunter’s Call offers gold and cosmetic rewards, as well as another path to Pirate Legend in exchange for your best prizes and food. Master the art of fishing from shore and from ship, hunt animals and monsters for their meat and cook up delicious (or occasionally poisonous) food. The Arena allows you to get straight to the heart of the action in the new competitive mode. Pit your ship and your crew against others in a distinct game mode which will continue to grow in parallel to the Sea of Thieves adventure experience. Trust in your crew and prove your prowess in a purely competitive setting. 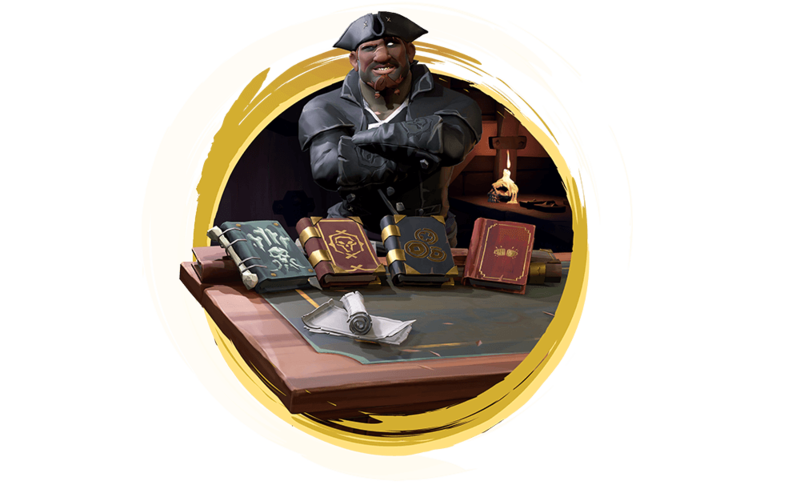 After a vicious battle, share a grog with your rivals in the Glorious Sea Dog tavern, home to a new Trading Company led by the heroes of the Sea of Thieves comic series! Tall Tales - Shores of Gold introduces a new epic storyline to the world of Sea of Thieves, delving deeper into the lore of our favourite pirate paradise. Follow a series of narrative adventures surrounding existing and all-new characters, taking you to undiscovered places and revealing surprising new gameplay features. The Anniversary Update also brings along various world improvements to enhance the core experience. Expanded ship damage means that your beloved vessel can suffer a broken mast, capstan or even wheel, meaning that sailing and escaping battle could get very tricky indeed. Meanwhile, the arrival of the harpoon means that treasure can be nabbed by a skilled enemy and ships can make some surprising manoeuvres.